Well now..My roots started in church, where I was asked to lead a song called Didn’t it Rain, a song about Noah’s Ark. Our piano player was a blind lady named Mrs. Witherspoon and she told me I had a great voice for singing. I then took up the drum in school and played it in school. After High school I joined the army and was shipped to Germany where I heard Reggae Music for the first time (Bob Marley’s “Coming in from the Cold). I also had a Tank driver Named Pickering that was also a bass player, he showed me some methods and I took up the Harmonica to pass the time and work on melodies. My cousin Prentice was an avid blues harmonica player and he taught me some new tricks of bending notes to add resonance to the music. After the army I worked for the U.S. postal service and I would play my harmonica at work, to pass the time. I went to the Reggae on the River in California for several years; I worked there and met Michael Franti, Jr. Gong and Ziggy Marley, Bunny Wailer and a host of other reggae artist including Eek A Mouse. I purchased a keyboard and sound equipment to continue my musical ambitions. I was eventually asked by a group of friends from Napa, California to form a reggae group called “The Irie League”. We played a few shows until the band broke up, because of technicalities. I was sent to jail for a fraud charge and spent 83 days there, where I wrote hundreds of songs relating to the Bible. After my house was broken into and my ganja and sound equipment stolen, I had to purchase more and move to Cool California. I continued to play music and compose until the Summer 2005 when I was asked to form another band called Cool Dub, with several musicians from the bay area. We performed in the Gold country and Sacramento until 2010 when we disbanded. The others were not into the music as I was and it seemd that I was putting triple the effort of them. I have been on stage with several groups that asked me to join them, but I just want to go solo and provide sound for bands. I now do sound and DJ for Ras Rebel and Rebel soldiers and any other band that requires it. I continue to compose and put out solo sounds as Cool Dub/DJ and Sound. 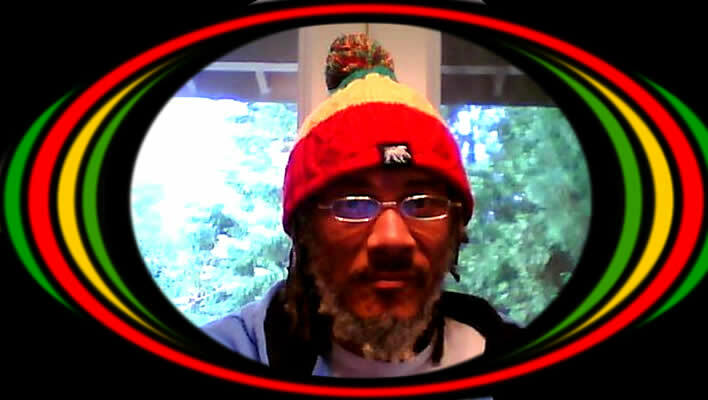 You can find me on Facebook, reverbnation, Soundcloud, youtube,and fandalism under the name Cool Dub or Cool Dub Band. A self-taught Multi-instrumnetalist and songwriter/composer Inspired By the words and music of Bob Marley, Burning Spear, Gregory Issacs, Israel Vibration, Dennis Brown,Midnite,Culture, Lee “Scratch” Perry, and a host of other Reggae Greats. I have taught myself, Keyboard,harmonica,guitar, and I also play several percussive instruments as well. It would definitely be nice to find a band willing to back me, so I could concentrate on singing, but until then, I guess I’m on my own..